HAWTHORN premiership ruckman Ben McEvoy and young defender Blake Hardwick have signed two-year contract extensions, tying them to the club until the end of 2019. McEvoy, 28, has played 75 games for the Hawks since first debuting for St Kilda in 2008 and is averaging a career-best 33 hit-outs in his 20 appearances this season. Hawthorn list manager Graham Wright said McEvoy would continue to offer "great leadership" to the next generation of Hawks. "Ben plays an important role for the side and we're really pleased that he'll remain in the brown and gold for a further two years," Wright told hawthornfc.com.au on Monday night. "He's had to shoulder the majority of the ruck work this season, which he has done in emphatic fashion, and he provides a strong marking target when resting up forward." 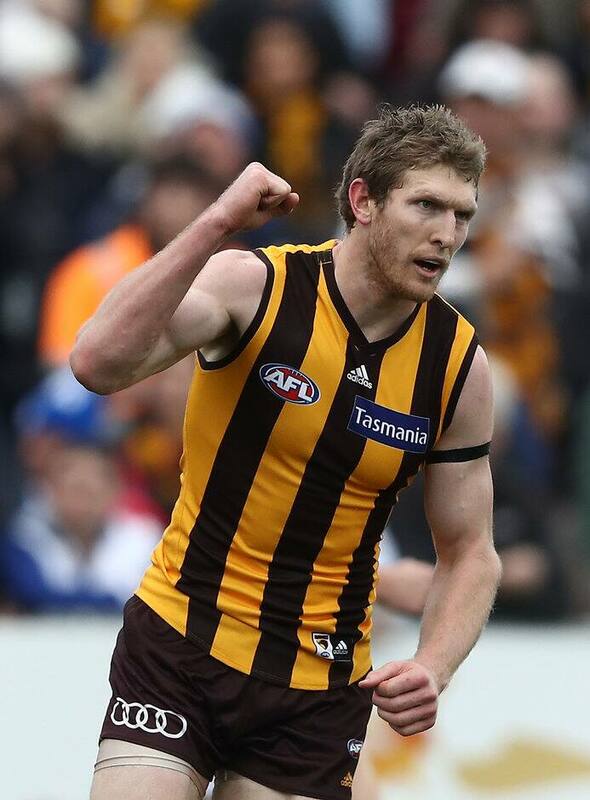 Hardwick, meanwhile, has played 17 games in 2017 after coming into the side in round four, establishing himself as the go-to small defender in the Hawks' line-up. The 20-year-old is averaging 14 disposals and 4.5 marks per game this year and was the round 15 NAB AFL Rising Star nominee after gathering 19 disposals against Collingwood. Wright said the club was pleased to have secured the promising young defender for a further two seasons. "Both Blake and the club were keen to get a deal finalised and secure his future at the Hawks," Wright said. "It's been really exciting to see the development of our back six this season and Blake’s been a big part of that. "He's shown great composure in big moments and has a really strong character and we’re excited to see what he can achieve over the next few years."